The story of four years in the history of Wanborough Manor that played an important part in the British effort to promote resistance against the enemy during the Second World War. 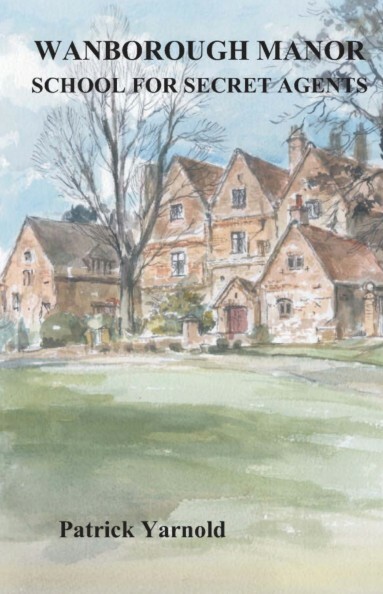 This is the story of a few years in the history of Wanborough Manor, an old house in West Surrey that played an important part in the British effort to promote resistance against the enemy during the Second World War. For four years it housed secret agents who were destined to go into 'the Field', as they called it, to work alongside resistance fighters in occupied countries, initially in Europe, and later in other parts of the world. For the first two and a half years the Manor was one of half a dozen preliminary training centres for potential recruits to the organisation. For most of that time a Guards officer with a background in racing journalism commanded it. He spoke French after a fashion and was a shrewd judge of character and ability. The students who passed through Wanborough and were found suitable passed on to further training. If they then completed that training successfully, they were sent to France to help resistance throughout that country. The great majority of French nationals who trained in Britain to work with the resistance were destined to work with General De Gaulle and his staff, and did not pass through Wanborough. There were, however, some French trainees there. Otherwise the majority of the Wanborough trainees were British, including many of French ancestry, at least in part. There were also some recruits from Canada, the United States, Mauritius and the Seychelles, as well as a few of even more exotic origins. What they had in common was at least some familiarity with France and the French language. The successful recruits ranged in age from 18 to over 40, and came from a bewildering variety of backgrounds. They were nearly all men, but latterly the Manor also held women, 9 of whom were among the 50 women who served as agents in France. Some of the trainees were already in the armed forces, having volunteered after the outbreak of war, serving either as officers or other ranks, and a few were regular officers. Most of the trainees, however, were civilians, who were given a commission in the Army, in the belief that it might offer them a measure of protection if captured by the Germans. They included a tobacco grower; a bus owner and a ship owner; as well as manufacturers of ice cream and upholstery. There were two bankers, a barrister, a diplomat, some journalists and travel agents, four schoolmasters, and people working in insurance. There were also a head waiter, and a chef at a golf club, as well as a taxi driver, a musical comedy actor, a racing driver, a fashion artist, a jockey, a racing trainer, two acrobats, and two boxers. We have known since the 1950s that the S.O.E. had used Wanborough Manor as a training establishment, but apart from some tantalising references in various printed books it was impossible to find out anything of substance. Some of the official files of S.O.E. had perished in a fire shortly after the War, and others, including all the files of the Training Section, had been 'weeded' in the following years. Those that remained were in the custody of the Foreign Office (later Foreign and Commonwealth Office), but were closed. The crucial event that made this short book possible was the decision in the mid-1990s to release the surviving files of S.O.E. to the National Archives (Public Record Office). As the files were gradually released it became apparent that, although all the files of the Training Section of S.O.E. were missing, it would nevertheless be possible to build up a picture of the régime at Wanborough and the students who trained there. Personal Files of individual agents (the last set to be released, with some remaining closed), together with headquarters files, supplemented by material lodged with the Imperial Museum, and books written by the agents themselves, as well as the official history 'SOE in France' by M R D Foot, between them gave enough information to make such a picture possible. The following chapters, after giving some essential background information, try to tell the story of what happened at the Manor during the War, while setting the work there in its wider context. In doing so, we try to identify as many as possible of the Wanborough-trained agents who went to France; with one or two exceptions their fellow trainees who failed to make the grade remain anonymous. You will find a short biographical sketch of each of the agents, including some information on what happened to them once they reached France. Of those who lived to tell the tale, most had managed to avoid detection and capture. Of those who were caught, some lucky ones escaped from detention in the Unoccupied Zone before it was taken over by the Germans in late 1942. A few other lucky ones, although captured by the Germans, secured prisoner-of-war status and were eventually liberated from Colditz Castle. Another small group survived capture and incarceration in various concentration camps, before being liberated at the end of the War. But more than half of those agents who had passed through the Manor never came back. A few of those died naturally or were killed in action; the rest were caught by the Germans, and eventually shipped off to Germany, where nearly all of them were later killed in the concentration camps, sometimes in atrocious circumstances. We honour the memory of them all. 3. The Establishment of S.O.E. Patrick Yarnold is a retired diplomat who lives across the Hog’s Back from Wanborough Manor. He has been interested in the French Section of SOE for more than 40 years. The progressive release of the organisation’s files from 1998 onwards finally made it possible for him to reconstruct to the story of SOE’s use of the Manor and of the agents who trained there.